Shedd Aquarium will offer a month-long celebration for the senior community from 9a.m., to 2p.m., on Wednesdays in September. The Senior Days at Shedd program will present the best of the aquarium to seniors 65 and older, including groups and individuals. 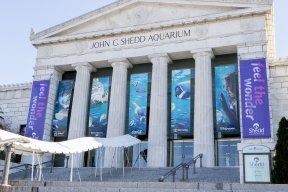 Seniors will be given a complimentary Shedd Group Pass Plus, giving them access to all exhibits plus a ticket to Shedd’s aquatic show. 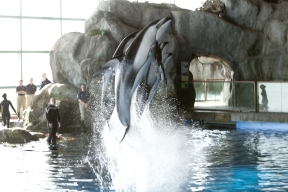 Guests will explore Waters of the World, Amazon Rising, Wild Reef, the Abbott Oceanarium, Amphibians and Stingray Touch. Special lunch pricing will be available to participants. © 6307 Chicago Hispanic Newspaper, Lawndale News, Hispanic Bilingual Newspapers, Su Noticiero Bilingue. All rights reserved. XHTML / CSS Valid.